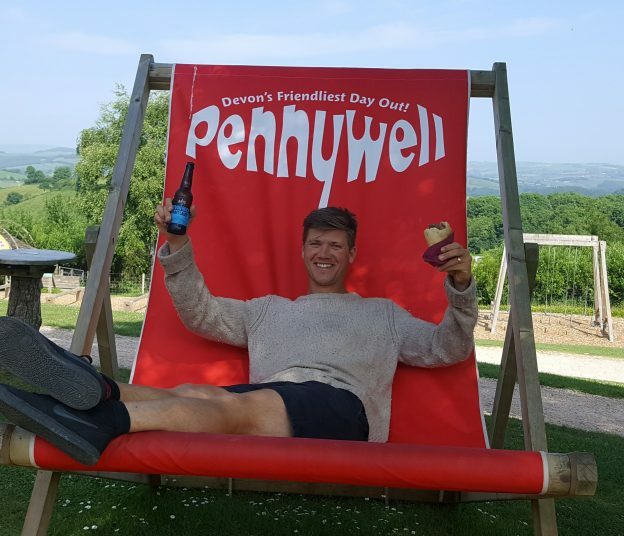 We are looking forward to a fabulous Father’s Day at Pennywell Farm next Sunday 17 June. Treat dad to a great day out, meet the animals, take in a game of crazy golf, ride the tractor / trailer ride, blast off on the red rocket and enjoy a full day of fun. For dad’s special day, we thought of offering a FREE pasty and a pint but then we thought . . . we can do much better than that! How about a Devon Chunk Beef pasty and a bottle of Devon Rock Craft lager by Bays Brewery? Nothing’s too good for our dads. We know how competitive dads can be so to add some extra fun to the day we will be having child/dad penalty shoot out competitions. Will you and your dad be brave enough to take on the coaches from the Chelsea FC Foundation? Come and enjoy a full day of fun for all the family and celebrate dads special day at the same time. The fun starts at 10am. Can you just turn up on father’s Day and pay on the day ? I have 2 sons and a partner and we would love to do father’s Day at penny well farm as my youngest son Lonnie (aged 2) loves animals . You can just turn up and it won’t be a problem. If you are buying tickets for the children online there is a FREE toy for them but the admission price is exactly the same. Hope to see you on Sunday.